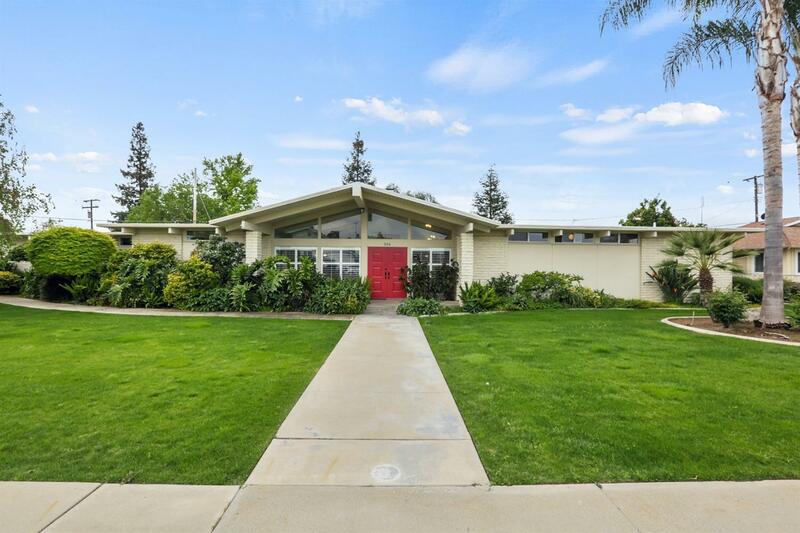 Beautiful updated Mid Century Modern home in Exeter. Located on a large corner lot, professionally landscaped front and back yards. Custom features are the original Terrazzo floors in the entry way, built in dry bar, cabinet with speakers for television in living room. Vaulted open beam ceilings through out this home. Huge living room for entertaining 24'X26' and a seperate familyroom/sunroom off of the kitchen with a glass slider to the back yard. This home also has interior sky lights in the laundry room and master bathroom. Sky lights are also on the covered patios for added light. Kitchen has been updated, numerous cabinets, warming drawer, corian countertops and it is all open to the dining area, living and family rooms. The living room features a floor to celing fireplace with a new gas insert and a remote for temperature control. New Milgard Stileline white Low-E windows and doors through out. Security cameras and a alarm system.